Nelson Mandela was one of the most revered figures of our time. He committed himself to a compelling political cause, suffered a long prison sentence, and led his violent and divided country to a peaceful democratic transition. 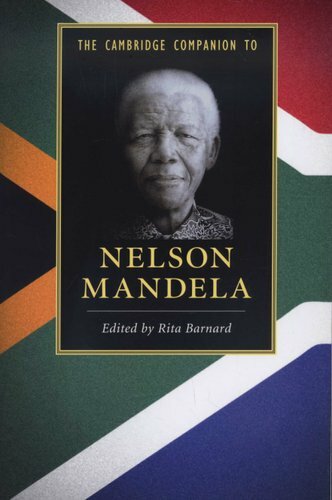 His legacy, however, is not uncontested: his decision to embark on an armed struggle in the 1960s, his solitary talks with apartheid officials in the 1980s, and the economic policies adopted during his presidency still spark intense debate, even after his death. The essays in this Companion, written by experts in history, anthropology, jurisprudence, cinema, literature, and visual studies, address these and other issues. They examine how Mandela became an icon during his lifetime and consider the meanings and uses of his internationally recognizable image. Their overarching concerns include Mandela's relation to 'tradition' and 'modernity', the impact of his most famous public performances, the oscillation between Africanist and non-racial positions in South Africa, and the politics of gender and national sentiment. 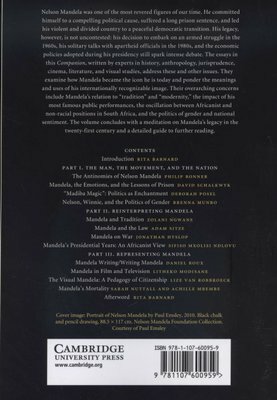 The volume concludes with a meditation on Mandela's legacy in the twenty-first century and a detailed guide to further reading.